Berry asks Wingo to have a group of girls in Clara Hall write to Mr. and Mrs. Ford expressing their appreciation for the privilege of living there. 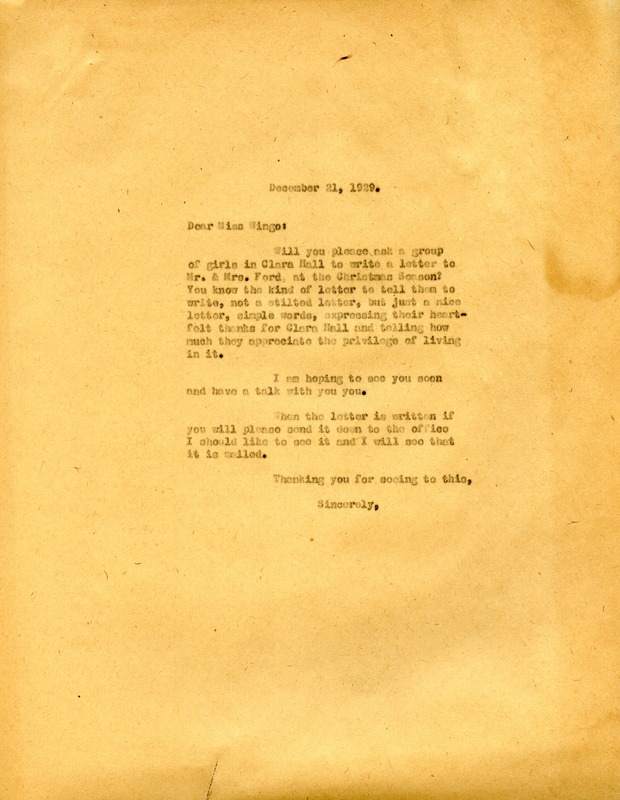 Martha Berry, “Letter from Martha Berry to Alice Wingo.” Martha Berry Digital Archive. Eds. Schlitz, Stephanie A., Sherre Harrington, et al. Mount Berry: Berry College, 2013. accessed April 20, 2019, https://mbda.berry.edu/items/show/11412.